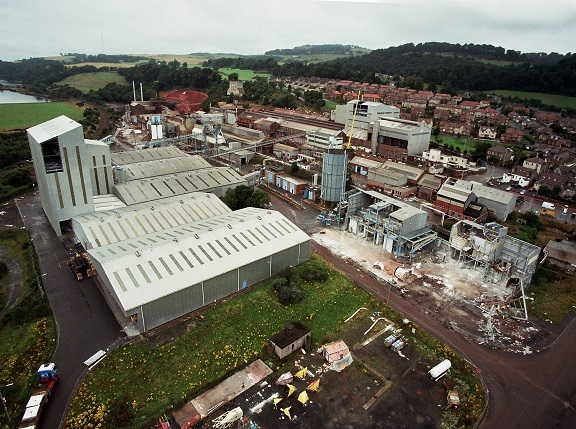 Central Demolition Limited were awarded the contract for the demolition of the former Alcan Chemicals factory in Burntisland. 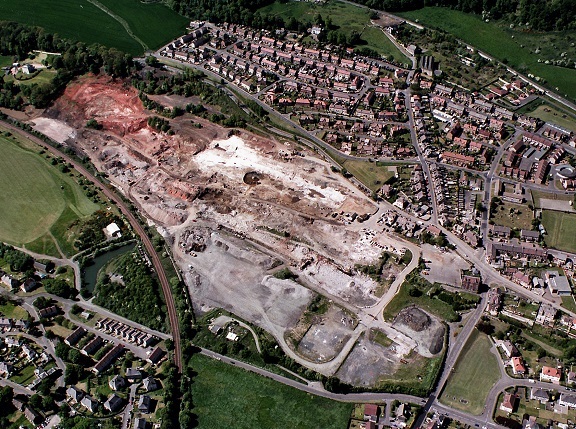 This project involved the demolition of a large chemical factory located on 45 acres of land. 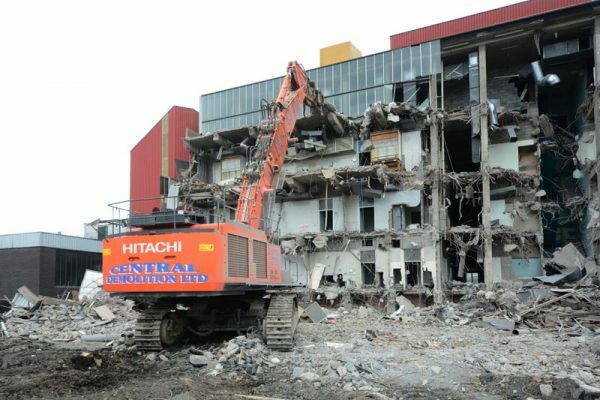 Asbestos and decontamination issues had to be resolved prior to demolition and land remediation was carried out post-works. 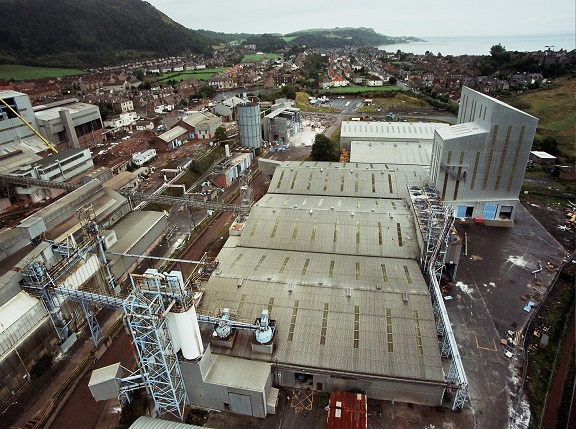 The asbestos removal and decontamination works required were extensive. 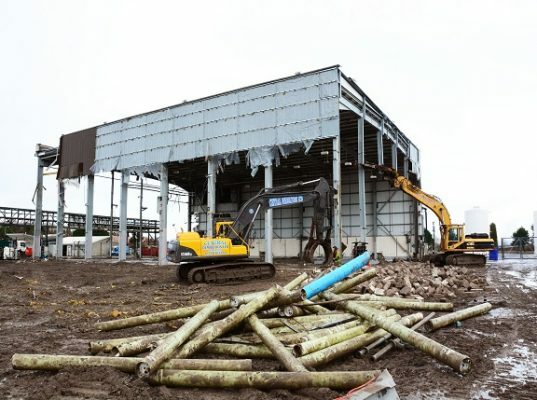 30,000m² of asbestos cement, mostly roof and side elevation sheeting, had to be safely removed by one of our highly skilled asbestos teams. There was also a tank on-site which had to be cleaned, with all chemicals removed carefully. 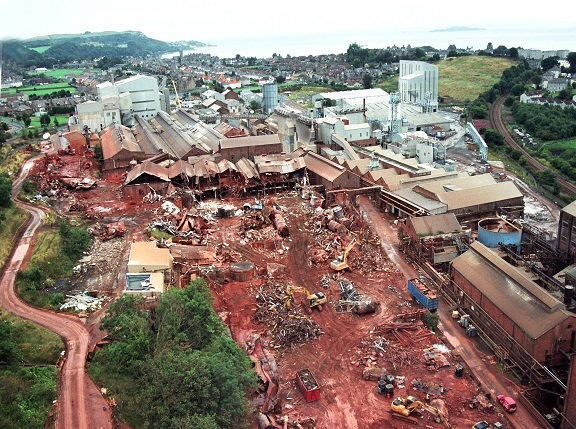 A massive 100,000m² of contaminated material was safely removed off-site for processing and safe and responsible disposal. 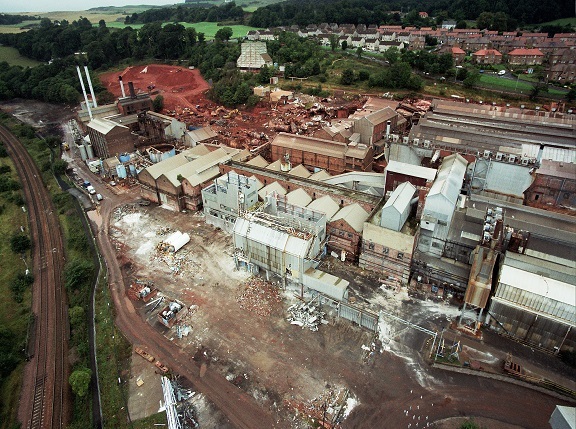 The works undertaken included the demolition and dismantling of the existing aluminium oxide plant. 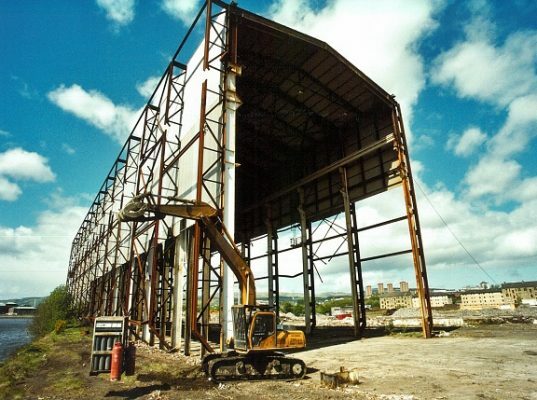 The specialist works undertaken at this site included demolishing high level structures, approximately 50-60m in height. 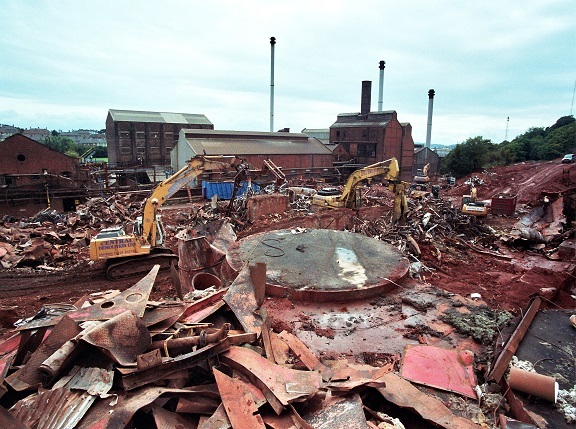 Alcan had their own coal fired power station that was demolished as part of the contract. We salvaged working plant from the site which was then re-sold by the client, with much of the inventory being shipped abroad. 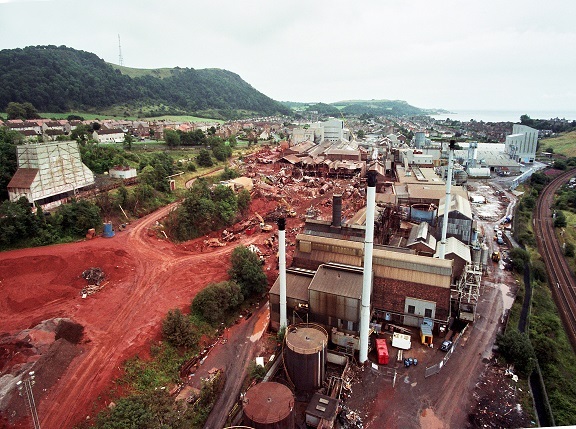 We worked with the client to satisfy their requirements, which included the removal of Bauxite material from the site to the client’s waste treatment works out-with the site. 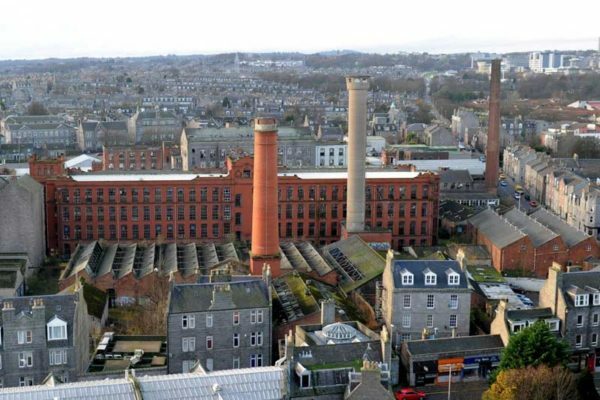 The works carried a high level of risk, not only due to the site having processed chemicals and other hazardous substances in the past, but also due to a railway line being only approx. 25m away from a 40m high steel tower which we were demolishing. We had to form a close working relationship with Network Rail. 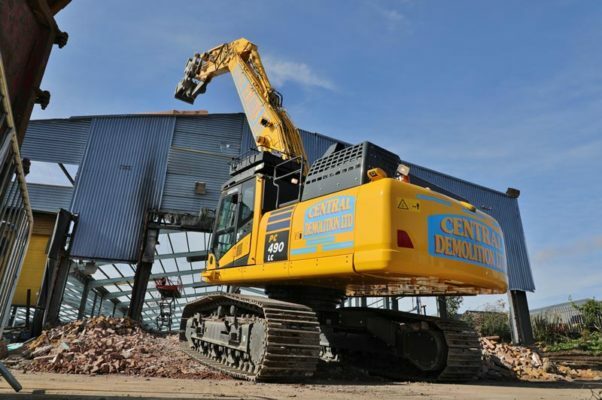 There was a lot of nightshift work under possession, and we had to carry out early morning demolition works on one occasion (between 1:00am and 3:00am) due to the requirement to close the adjacent railway line. These works were carried out in accordance with Network Rail’s guidelines and health and safety requirements. We lettered all local residents to keep them informed and to apologise in advance for any inconvenience, and throughout these early morning works our team worked hard to minimise disturbance. 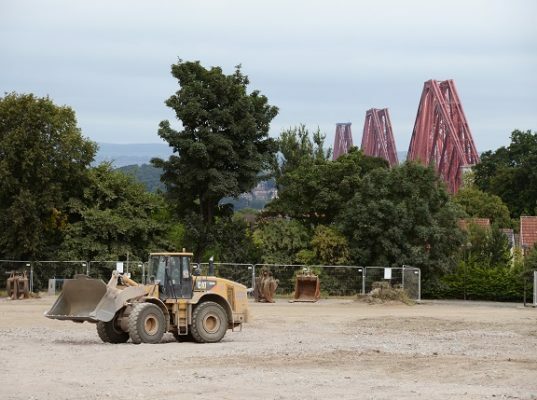 Further to demolition of the structures, the site was cleared and remodelled in preparation for future site redevelopment. We broke out the ground slabs and foundations and crushed same on-site. 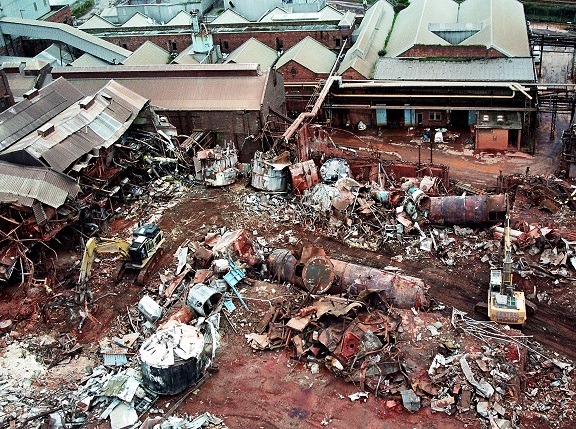 A high volume of material was processed at the site, including 130,000tons of concrete and 40,000tons of scrap. 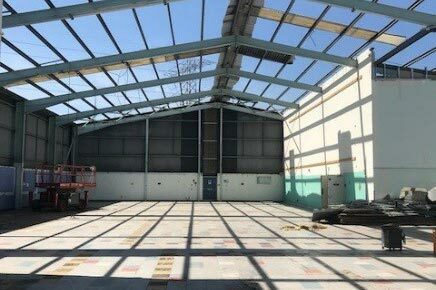 The project was completed successfully and the site has since been redeveloped. 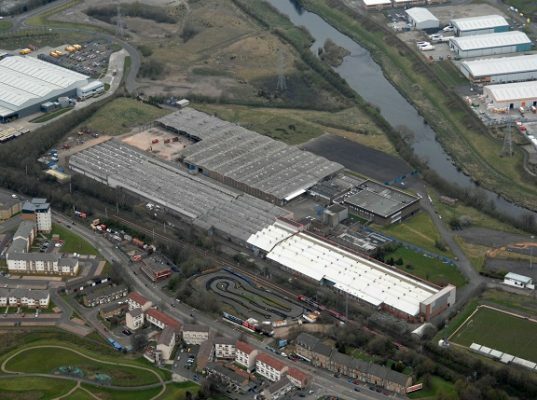 The programme had scheduled for the works to take 18 months, however we managed to complete the works 2 months earlier than anticipated – and this was much appreciated by our client.